These 12 Cristiano Ronaldo lifestyle, family, Portugal and club football career stats on his 34th birthday will make you question your life. We don’t mean to pull you into a game of comparison but allow us to put you into Cristiano’s shoes for a moment. Feel the vibe of being rich, famous, and successful like him. In the scenario, you’re a skinny kid from an island called Funchal, Madeira. You carry a heavy accent, an empty stomach, and pockets with holes. You’re bullied by other kids in the capital but you have a round object at your feet, doses of talent in your legs, and a particularly ambitious mindset that makes you believe you could become the king of the world with consistent hard work. However, you are in competition with thousands, if not millions of boys around the globe who cherish a similar dream. At the age of 15, you are diagnosed with a racing heart. Could this be the end of your quest to manifest your imaginary success? You undergo heart surgery and miraculously, after only a few days, you are already back on the pitch because the feel of the grass, the sound of hard knocks on the ball, and the sight of it crossing the line are a series of events that are so therapeutic to you. They define the essence of your life on this planet. They represent the pathway to creating and gaining the maximum through what God gave you to influence your life and that of uncountable souls worldwide. Cristiano Ronaldo is the most followed personality on Instagram with 153 million followers as of February 2019, the month of his 34th birthday. Only one account surpasses CR7’s and that is, obviously, the account of the app itself with its 279 million followers. 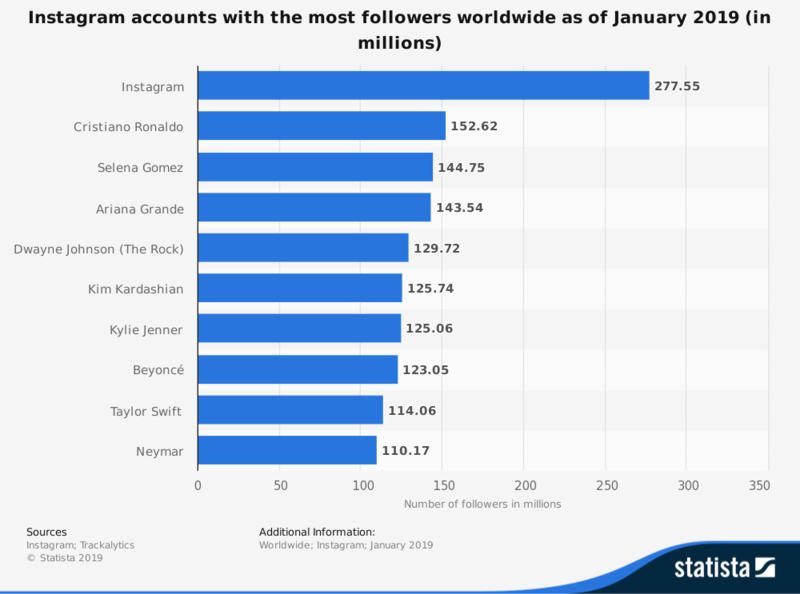 A total of 13 accounts boast over 100 million followers on this picture-themed social media platform. 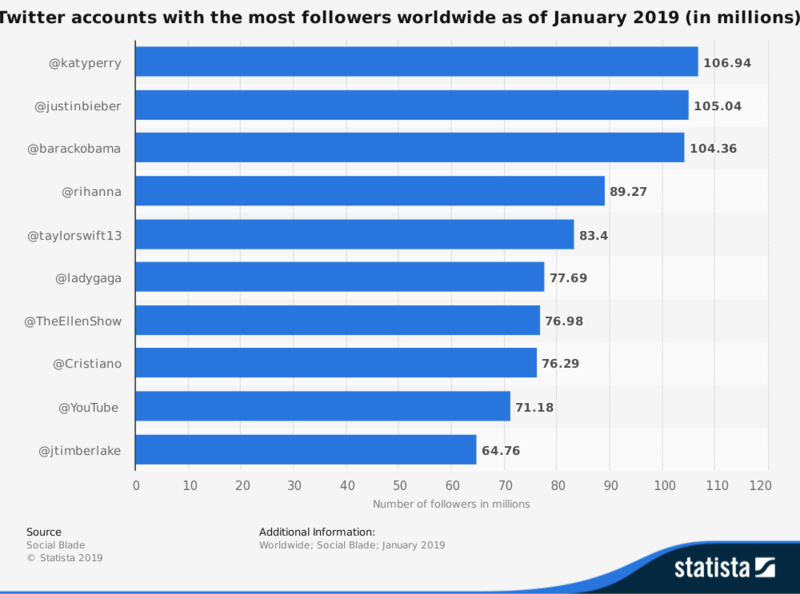 Lionel Messi (11th), seats out of the world’s Top 10 despite being Argentina’s most followed person as he falls just 2 million followers short of Brazilian social media addict, Neymar (10th). FACT: there are only two males in the female-dominated Top 10. Whilst Cristiano is the highest-ranked celebrity, Dwayne Johnson aka The Rock is fifth. American pop stars Selena Gomez (145M) and Arianna Grande (144M) fall in between the two gym freaks. 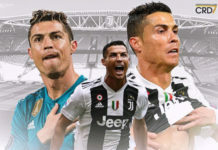 In the Top 5 of the most popular fan pages on Facebook, there is only one personality and that is Cristiano Ronaldo, standing tall in third position behind Facebook (214M), Samsung (160M), and above an entire institution like Real Madrid (110M) or again, mega beverage brand Coca-Cola (108M). Ronaldo has been climbing the ladder on Twitter. No athlete counts a larger following than the @Cristiano account. This places him in eighth worldwide, in a close race with Ellen deGeneres and Lady Gaga. Outstanding figures but that’s not all. Carry on with this summary of Cristiano Ronaldo’s career achievements in numbers. The Madeira icon commenced his Seleção das Quinas career 16 years ago, in August 2003, and has become the most capped player, surpassing legendary captain Luis Figo (127). 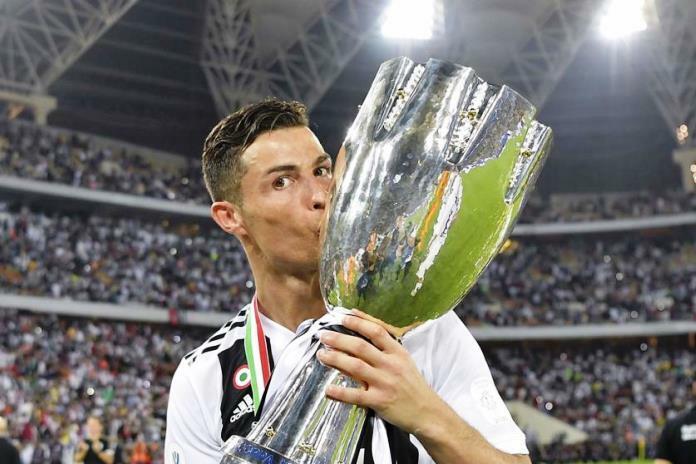 Giving himself time to settle at Juventus, CR7 has not performed with the Portuguese national team since summer 2018. Still, no one can possibly catch him atop the most capped Portugal players chart. Active footballers Joao Moutinho (113), Nani (112), Pepe (103), and Bruno Alves (96) have done enough to make the Top 10 but they are too far away from their skipper’s commendable achievement in terms of appearances. Cristiano simply cannot be reached by these lads. It might take decades for Cristiano Ronaldo to be dethroned as his country’s highest goalscorer. With a ratio signaling a goal or more every two matches, Cristiano counts 1.8 goals more than second-placed Pauleta, and twice more than hero Eusebio. The only active player in the Top 10 is 32-year-old Nani who possesses 61 goals less than Cristiano. The ex-Real Madrid star’s trophy room is colorful, to say the least. His match winning goal in the 2018 Supercoppa Italiana offered him yet another collective medal. This came as an addition to his 15 major trophies at Real Madrid which include four Champions League titles, his nine cups at Manchester United, and his first ever senior title — the Supertaca Candido de Oliveira. *Note: Pre-season trophies such as the International Champions Cup have not been taken into consideration here. Do we really need to break down Cristiano Ronaldo’s five Ballon d’Or triumphs? We’re talking about a man who did not bow his head in shame after falling 4-1 against eternal foe Lionel Messi in that award’s duopoly race. 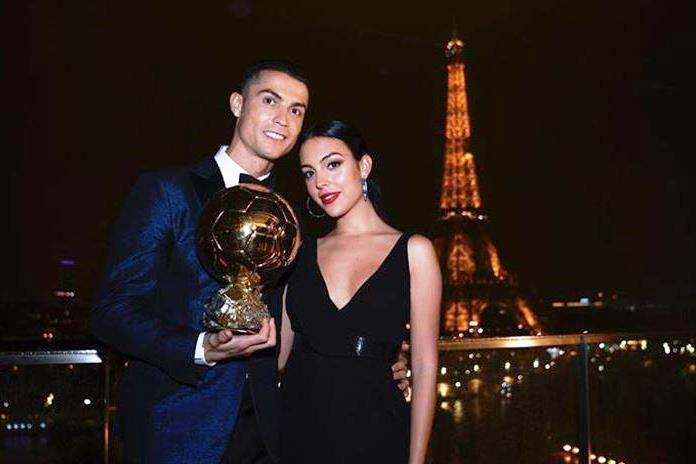 Cristiano Ronaldo scooped his first Ballon d’Or in 2008 and went on to lift the prize again in the 2013, 2014, 2016, and 2017 edition. 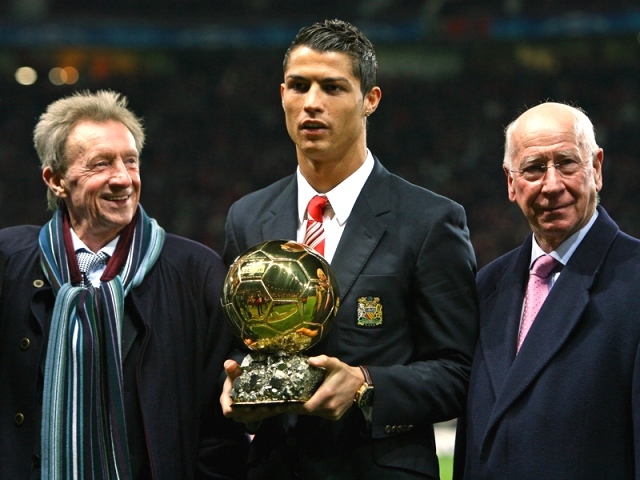 Cristiano Ronaldo presenting his 2008 Ballon d’Or award at Old Trafford. Let’s not even get started with the rest of his innumerable individual trophies! 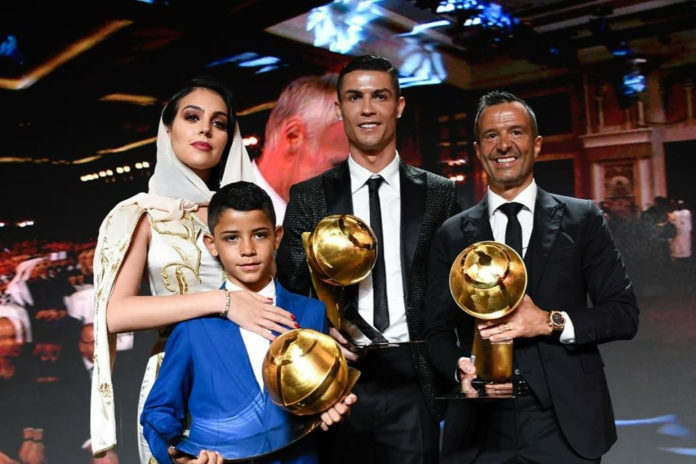 There are just too many to count; the best person to offer an accurate figure of Ronaldo’s collections would be his brother and director of the Museu CR7, Hugo dos Santos Aveiro. When Cristiano Ronaldo made his Sporting CP debut, he impressed his coaches instantly. It wasn’t long until he landed in Manchester in a career-changing move that saw him shoulder the Red Devils’ iconic number 7 jersey and live up to expectations. The 2018/19 club football campaign represents Cristiano Ronaldo’s 17th season as a professional football player. His game has matured since the days of his fancy twists and turns. Wait for nostalgia to kick in when you realize that his 34th birthday means he has completed two 17-year cycles: one as a young chap readying himself for the world, and one as an unstoppable beast conquering territories after territories. It requires a strong body and mind to keep flying so high after so many years! Cristiano welcomed his miniature on 17 June 2010. In summer 2017, he became a father yet again with the full consent of Cristiano Junior whose request to have a total of six siblings is still processing. With twins Eva and Mateo, born in summer 2017, and Alana Martina born in November of that same year, Cristiano has four children. Three more to go to fulfill his eldest child’s wish! Her name is Georgina Rodriguez and she is nine years younger than her partner, Cristiano. Read more about the stunning 25-year-old model who has unanimously won the hearts of the Aveiro tribe. Are you 34 yet? Have you passed that age already? Whatever it is that you have or have not accomplished, feel good being you and be inspired by Cristiano Ronaldo’s achievements.